Beautiful Mossy Green Faux Moss Ribbon that is ideal for that rustic charm needed for Party and Wedding decor. 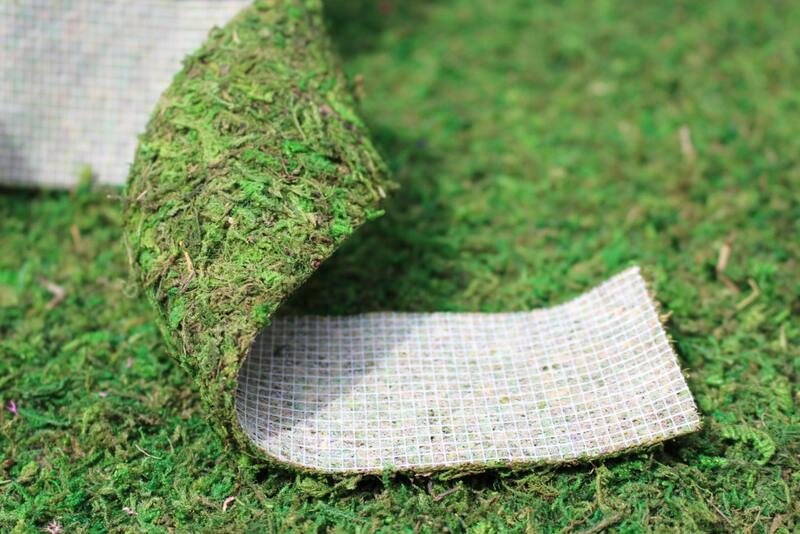 Moss Ribbon-Moss Roll 2.5” x 36” per roll-Preserved moss no water needed. SuperMoss Instant Green Moss Rolls are made from the same high quality green Mountain Moss as the rest of their creative products.